Ensure the efficiency of your bathroom plumbing with Master Plumbing. Summertime is officially here in Germantown, Maryland. While you prepare your home for the increase in temperature, ensure that your plumbing is up to date. Germantown homeowners can always rely on Master Plumbing & Mechanical Inc for quick, reliable service at a great price. Here are just a few of the services Master Plumbing can provide for your home. 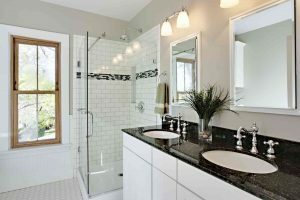 Residents of Germantown, Maryland understand the importance of an elegantly designed bathroom in their homes. Whether you decide to remodel your bathroom yourself or go with a professional contractor, it is critically important to ensure that all new and existing plumbing connections are made correctly and stand up to code. In addition, if you’re planning to construct new walls, you’ll need a licensed plumber to place them and your plumbing drain pipes. A sump pump works to remove excess water from your home through its wastewater pipes or through a secondary drain pipe. If you’re having trouble with your current sump pump or experiencing the damage of a flooded basement firsthand, contact Master Plumbing. We can assess your Germantown home and property and determine the right sump pump solution for your needs so you don’t have to worry the next time a huge storm rolls into town!